Alastair Gibson graduated with an MA in History before becoming frustrated as a hospital administrator and deciding to move into the more challenging and rewarding practice of social work. He worked in Aberdeen and Gateshead in a variety of health care social work settings and then taught at RGU. Developing his enthusiasm for inter-professional practice, he was a founder member of CAIPE and helped develop shared training for social work, health, education and police trainees. 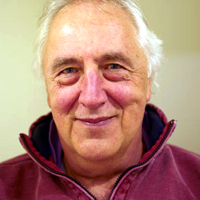 He has thoroughly enjoyed teaching Human Growth and Behaviour as well as being Course Leader of the BA (Hons) Social Work by Distance Learning before retiring in 2009. He is now an independent practice teacher.